10pm | 04.14.11 - TONIGHT! There's never a bad excuse for starting your weekend a night early, but when a good one comes along, well, seize it. Here's the one you were looking for tonight. 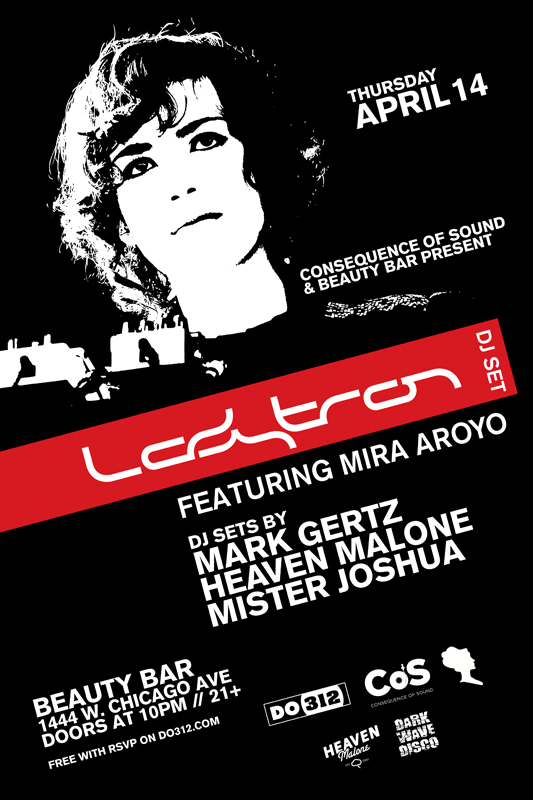 Mira Aroyo, one quarter of the amazing electro-pop outfit Ladytron, the lovely Mira Aroyo, is joining us at Beauty Bar here in Chicago. 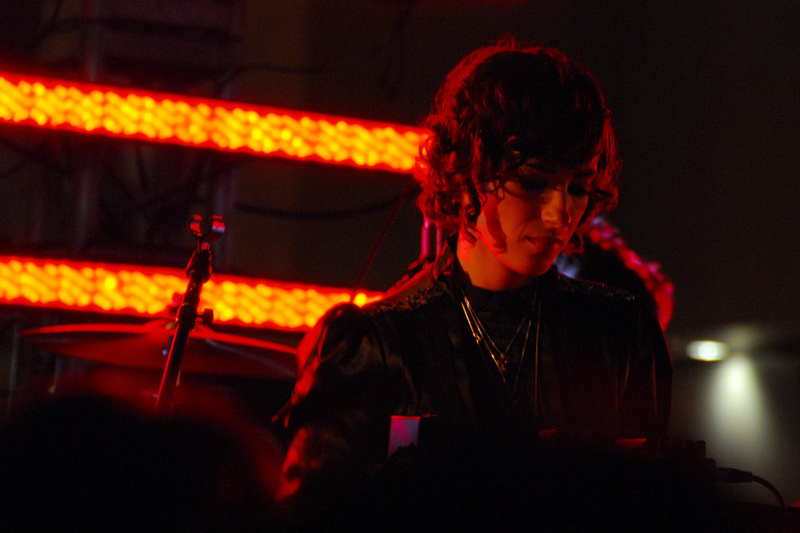 As Ladytron, Aroyo and company have been making black-clad indie dance music since before that was even a catch phrase. Tonight, the synth-heavy new wave aesthetic of the band lays the perfect foundation for Aroyo and the rest of us DJs to flex some moody dance tunes for the hip crowd that frequents Beauty Bar. Mister Joshua, faithful scribe for Dialogue Inc and the shameless promoter writing this post. R.S.V.P. at do312.com for free entry, and come join us tonight!